Tired of being tethered to a mic stand? 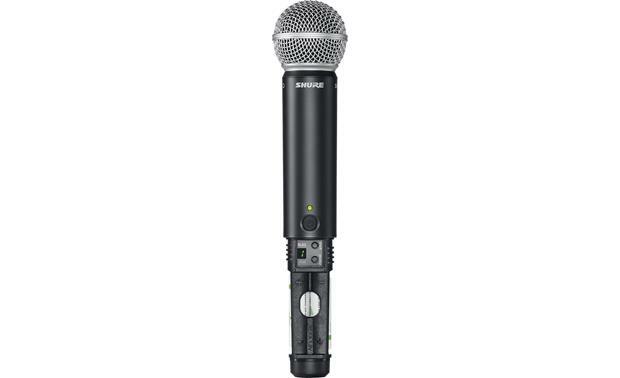 Shure designed their BLX2/SM58 wireless microphone transmitter to set you free onstage. It marries the BLX2 wireless transmitter with the quality of Shure's SM58 microphone to capture your vocals with Shure quality. You'll get up to 14 hours of life from two AA batteries, so it's an economical mic to use. The transmitter links to a BLX4 or BLX4R receiver (not included) for seamless operation. It's simple to set up the BLX2/SM58's transmitter and the BLX receiver. Press the Group button on one receiver channel and it scans for the clearest group and channel. Then just set the transmitter to the same group and channel settings. You can run up to 12 systems simultaneously depending on channel availability and RF environment. The BLX2/SM58 features the legendary SM58 microphone capsule, which is known for its voice-tailored frequency response, rugged construction, and tight cardioid pattern which rejects off-axis noise. The SM58 capsule also has a pneumatic shock mount system and a grille of hardened steel to reduce handling noise and protect the mechanism. 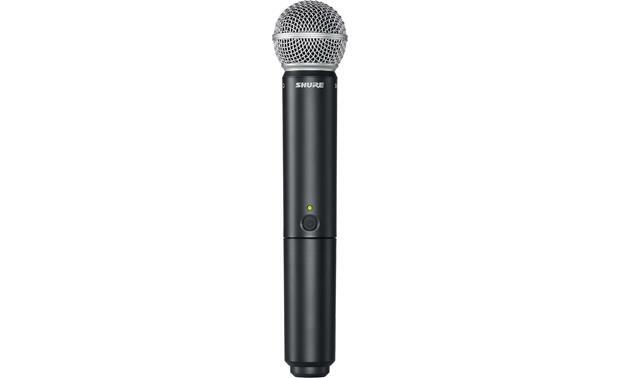 Overview: The Shure BLX2/SM58 Handheld Wireless Microphone consists of the SM58 Handheld Microphone with a BLX2 transmitter. The microphone operates on the H10 frequency band (542 to 572 MHz), and has a transmitting range of approximately 300 feet. Note: You will need a Shure Wireless Microphone Receiver, such as the BLX4 or BLX4R, that also operates on the H10 frequency band. BLX2/SM58 Wireless Handheld Mic: The SM58 is the industry standard microphone capsule for lead and backup vocals in a professional sound reinforcement or project studio recording application. The SM58 has a cardioid polar pattern, and delivers warm, clear vocal reproduction. It is designed for close-up vocals, and can be handheld or mounted on a stand (using the supplied adjustable stand adapter). 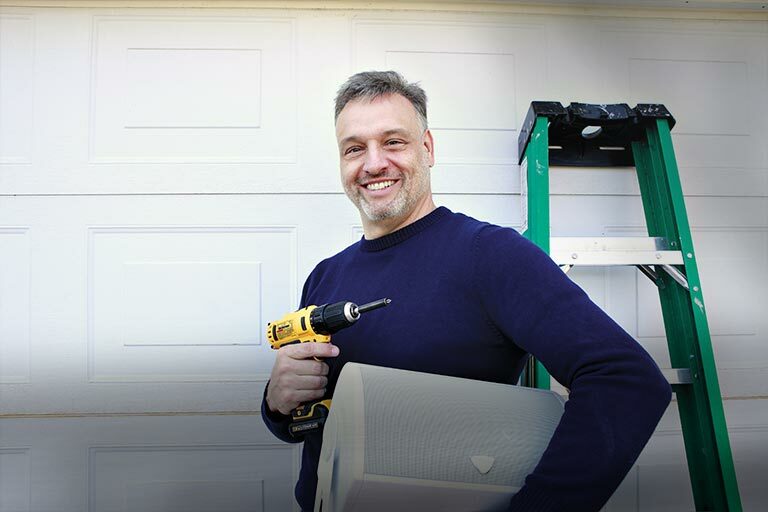 The SM58 can withstand rough handling, featuring a hardened steel mesh grille, and an advanced pneumatic shock mount system that minimizes mechanical noise and vibration. The BLX2 transmitter is powered by 2 "AA" alkaline batteries (included), which provide approximately 14 hours of battery life. The LED indicator turns red to signify low battery with approximately 60 minutes of battery life remain. Optional rechargeable batteries can also be used. The BLX2 has independent group and channel buttons for easy setup. Searches related to the Shure BLX2/SM58 Wireless handheld microphone/transmitter with SM58 capsule.